Tirana Mother Teresa International Aiport is the only international airport in Albania. Unfortunately there are no low-cost flights going there, but if you book in advance you can find good fares also with the regular air companies. – by taxi: there are plenty of taxes available at the airport exit. The journey lasts around 25mins, depending on the traffic. – by bus: there are not a lot of public transportation options from the airport. At the airport exit you can find Rinas Express bus operating hourly from 6:00 to 18:00 and gets you to the city center, in front of the National Museum. 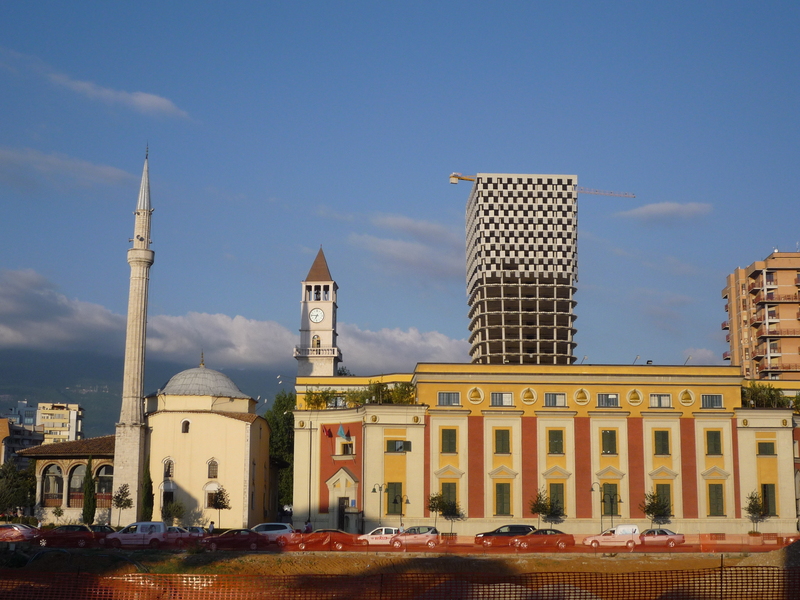 Tirana is the capital of Albania. All main attractions are concentrated in the same area, therefore you don’t need any means of transportation to visit the city. You can start the tour of the city with a walking along Bulevardi Curri or Bulevardi Fishta, the two main roads along the “river” of the city. There is indeed this small path of water passing through the city, but I don’t know if it’s the case to call it river, since it is one of the results of the “wild” urbanization. In fact many years ago there was a proper river there, but afterwards the government decided to reduce it and build houses instead. In the recent years the government tried to reduce the horrible constructions around and insert more greenery and give the river a new life: the result is a nice long street with small shops where you can have a walk and see the small river. The river will take you on your left to the Taiwan Complex, a nice area with a park, a big beautiful fountain and several good international restaurants. This is one of the main meeting points in the city and it’s very nice to have a coffee there and enjoy the sun. From the Taiwan Complex, take the street behind and you will arrive at Skanderbeg Square, the main square of the city. 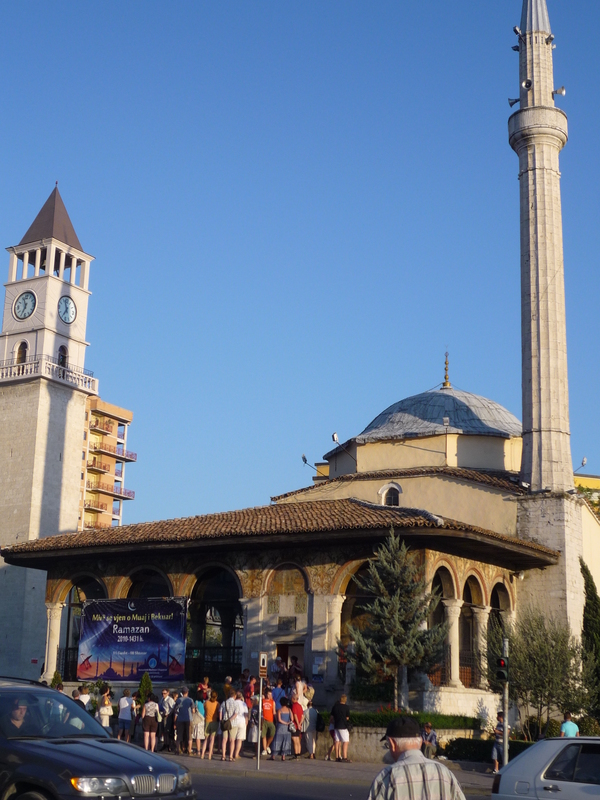 The main official buildings of the city are there: Skanderbeg Statue, Clock Tower, Et’hem Bey Mosque, and the National Historic Museum. Skanderbeg is the national hero and the statue in his honor is in the middle of the main square, together with the Albanian flag. The Clock Tower was for many years the highest building in the city. It has some Italian influence, especially on the top, where the structure recalls the tower in San Marco’s Square in Venice. The bell comes from Venice as well and rings every hour. 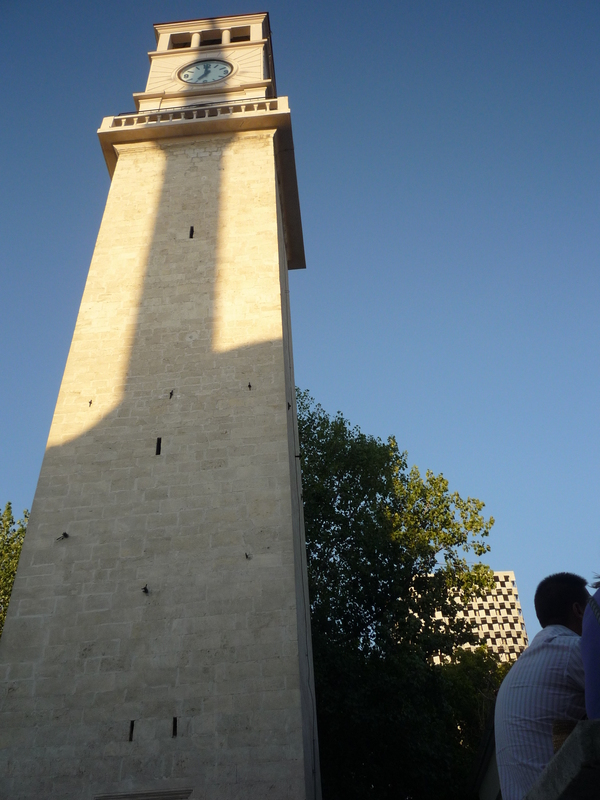 Just next to the Clock Tower is the Et’hem Bey Mosque, the main mosque of the city. It dates back 1821 and is one of the most suggestive ones in Albania, especially thanks to the indoor decoration. Entrance is allowed also to non-Muslims. Next to the mosque is also the National Historic Museum, that can be recognized by the huge mosaic in its facade. 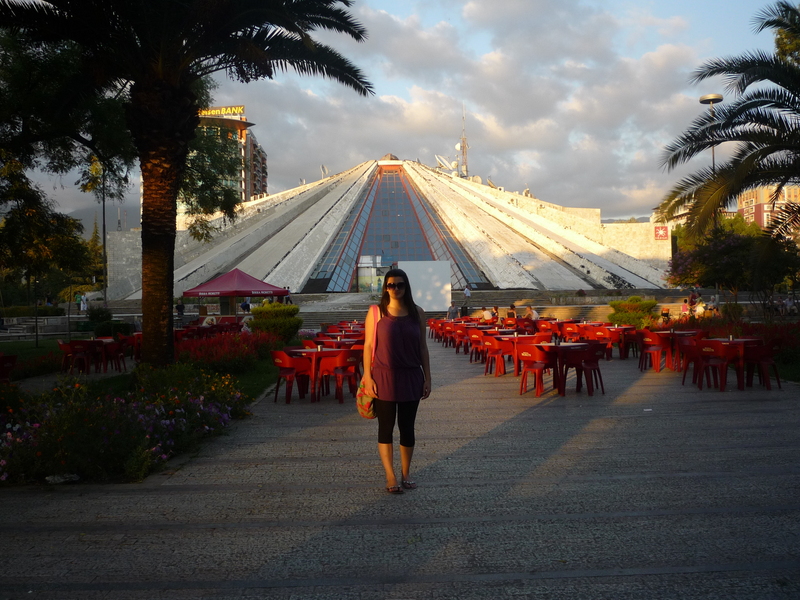 In this museum you will find the main pieces of the Albanian history. The museum is open everyday but Monday. From Skanderbeg Square you will access a very big road, Bulevardi Zgou I, surrounded by travel agencies. This is important in case you plan any international trip. There are buses going to Montenegro, Greece, Croatia and all surrounding countries everyday and at very reasonable prices. At the end of the boulevard you will arrive at the Tirana Train Station, where you will find the domestic trains and buses. From Skanderbeg Square go back towards the Taiwan Complex, by taking Bulevardi Deshmoret e Kombit. This is a street built by Italians, who wanted to create a copy of the Champs Elysées. In this street you will find shops, historical buildings, hotels and business centers. Please note that a big part of the city was actually constructed during the Italian Fascist invasion, hence the influence of the Italian style in the architecture of the city. Keep walking along Bulevardi Deshmoret e Kombit, cross the river and you will arrive in front of the Piramida, a pyramid-shape modern building hosting the House of Culture. This was one of the most expensive architectural projects under Communism and nowadays it’s a famous venue for congresses and art exhibitions. At the end of the boulevard you will arrive at Mother Teresa square, built in honor of Mother Teresa of Calcutta. 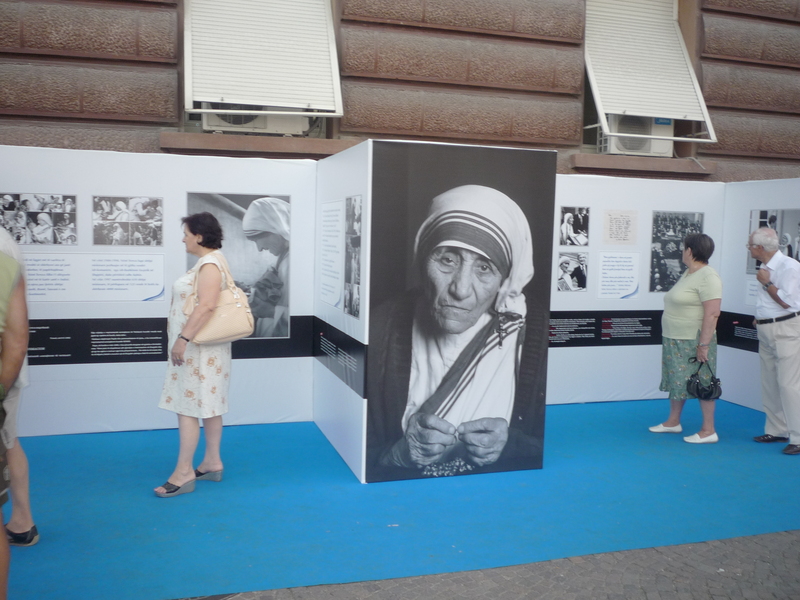 The square hosts photos about the blessed Albanian nun who dedicated her entire life taking care of the poor, sick and orphans. The entire square was built initially during the Italian invasion and features all Fascist-architecture buildings. Time to take a big rest now and charge the batteries for the Tirana nightlife. During the day there are people everywhere but in “casual” style, walking, having a coffee, going to the market. In the night these Dr Jekylls turn into Mr Hydes: they dress very stylish, they create special effects with their hair and make up and they all go out in the lively Tirana’s streets. For the nightlife the main area to hang out is the Block. This area is located in the city center, mainly in Ismail Qemal street and the other streets nearby. During the Communism period, this area was reserved uniquely for government officials, whereas common people couldn’t have access. In 1991 these streets of villas became opened to everybody and nowadays it’s the main core of the nightlife. The area is all pedestrian and plenty of fantastic bars (for instance bars with sofas and palms and fountains), restaurants and clubs. During the night these places get overcrowded with young people and music, food, drinks till late. Do not forget to enjoy the nightlife experience there, the restaurants are delicious and very cheap, as well as the bars. And do not forget to take the opportunity to know local people, they are very friendly, kind and generous, it’s always a pleasure to meet them! 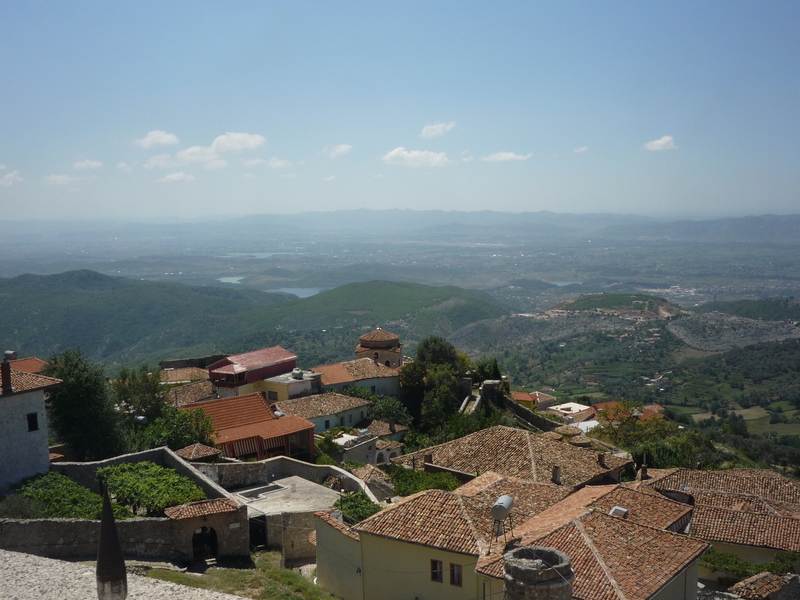 Kruja is a very nice town located at 45kms from Tirana. The best way to go there is to negotiate a day-trip with a taxi driver (since there are not a lot of taxis to come back): you can have the transport to there and the taxi waiting for you and taking you back to Tirana at a very low cost. Another interesting alternative – which is very used by Albanians – is the van. The way the van works is very simple: there are private van owners who stay in the main spots of the city (for instance in Skanderbeg Square) and propose you a lift to a city (they normally scream the name of the city to see if someone is interested). These vans do not belong to any official company, therefore there is no timetable or stop stations, but it is very cheap and common for local people, and it’s safe as well. Otherwise there are local buses running very often from the bus station to the city. The visit of Kruja will not take you longtime, once you get there you can easily do everything on foot. 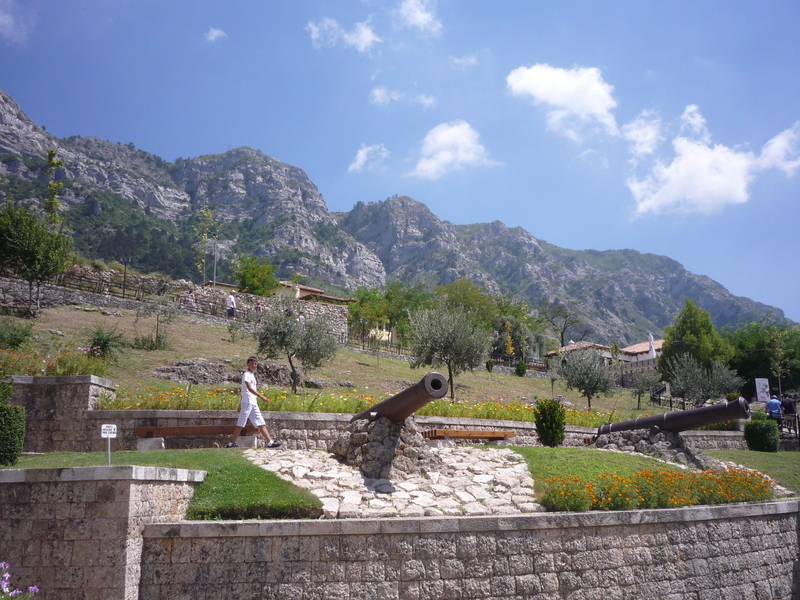 The main spot in Kruja is the Citadel with its big fortress. This fortress is one of the main symbol of the Albianian resistance to the Ottoman invasion. 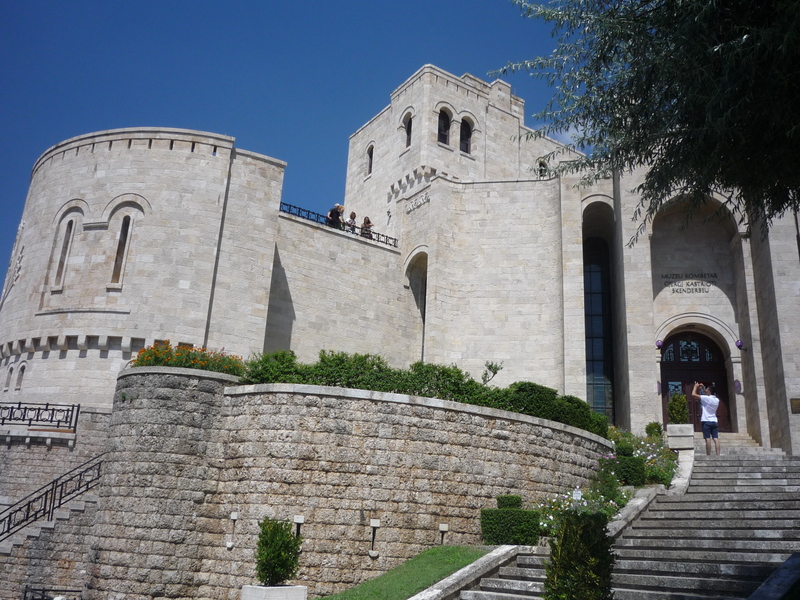 Inside this fortress you can find many artworks of that period and you will find Skanderbeg’s museum, a museum dedicated to life of the Albanian hero of the resistance. From the fortress you will also be able to admire a wonderful view on the city and surroundings. 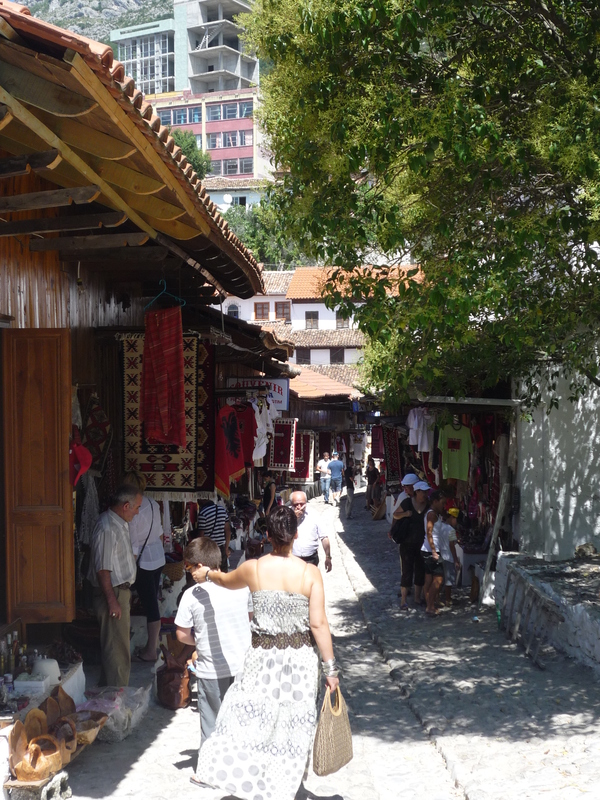 Just under the fortress, you can have a walk in the old bazaar, a street of quaint shops with windows full of antiques, silver filigree jewellery, folk costumes, woven rugs and traditional felt hats. After two days in internal cities and National Park it is time to explore the Albanian seaside. 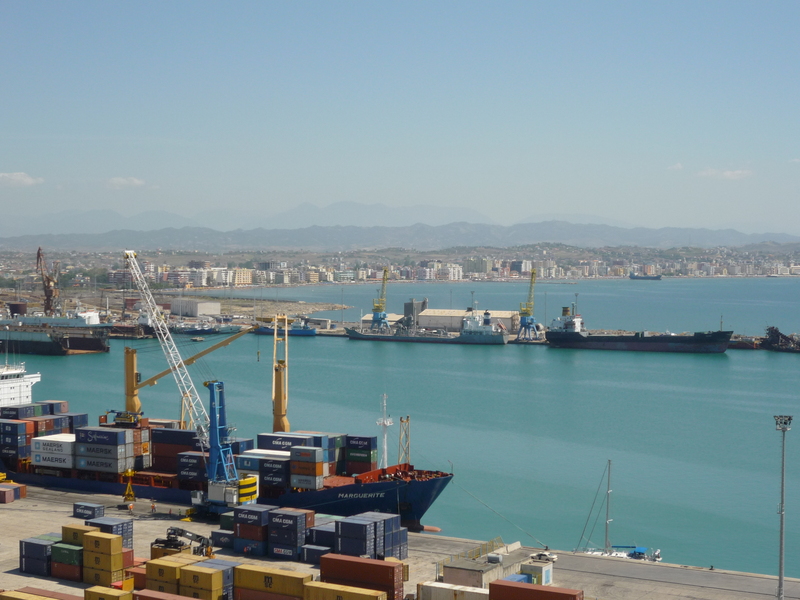 The closest main city on the sea is Durres. 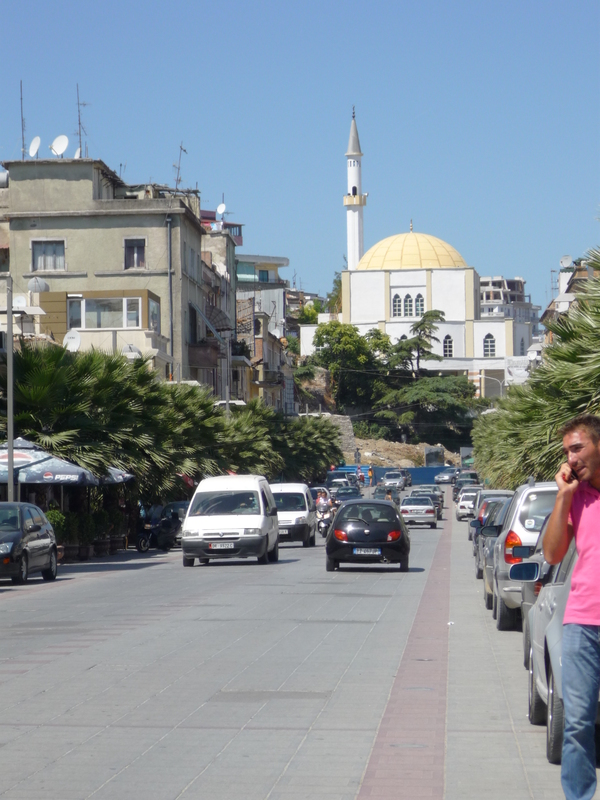 Durres is located at 40kms from Tirana and it’s very easy to reach. You can take the available vans or you can take a bus from Tirana bus station, there are connections several times per hour. Once you get there, start your visit with a nice walk along Bulevardi Dyrrah, a nice street with shops and restaurants. At a certain point, on your right you will find the Amphitheater, built in the 2nd century AD, with a capacity of 15,000 spectators. Its diameter must have been more than 120 meters. It is one of the biggest monuments that have survived from the ancient city. 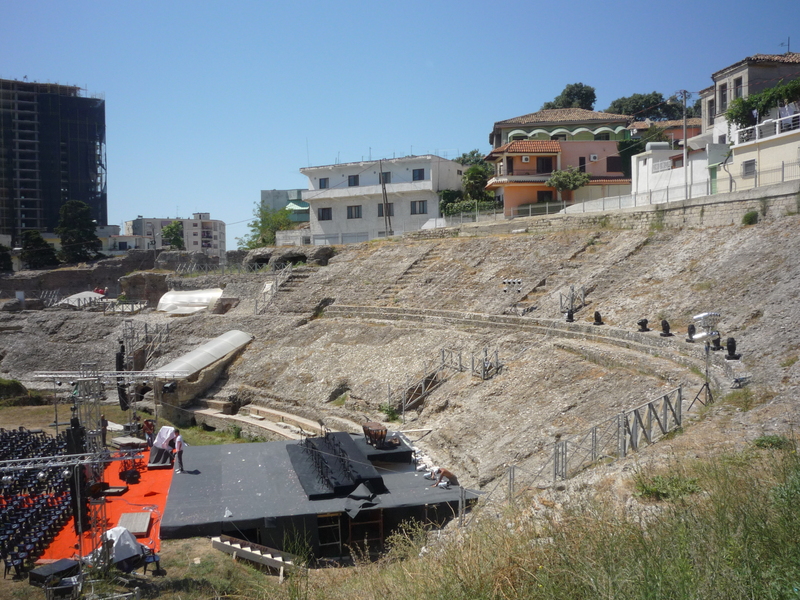 This amphitheater is also a scandal of the wild urbanization culture in Albania, that for many years did not have any system or regulation in building the houses. The result is that you will find apartments right in the middle of this amphitheater. 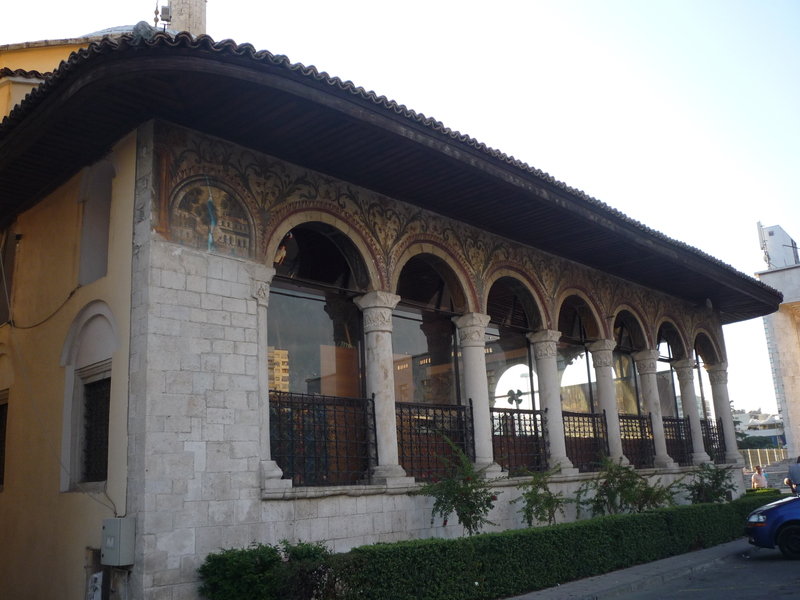 Not far from the Amphitheater is the Archaeological Museum, which displays a large number of valuable archaeological findings such as the Amphitheater Chapel, the very unique chapel inside the amphitheater; “The Beauty of Durres”, a famous mosaic that was discovered beneath a dwelling in a residential area of town and measures 17 by 10 feet. You can see also the Fatih Mosque, the Roman Baths, the Mosaic of Orpheus, the Aqueduct, etc. After a visit of the main cultural sites in the city, it’s time to enjoy the seaside. Just take a walk along the coast or go to the beach (for this, you need to go to the other side of the city) or have a drink in one of the several bars. The 4th day can be dedicated to some shopping or relax. If you rent a car or if you have more days to spend there, you have several options. For instance, if you are a nature lover it would be worth visiting the Northern side of the country, where you can immerse yourself into the fantastic nature of Shkoder lake, at 100kms from Tirana and at the border with Montenegro. A paradise of wild nature. If you prefer the seaside or the archeological sites, it would be worth visiting the Southern part of Albania: Apollonia, Vlora (170kms from Tirana) or Saranda (300kms from Tirana), pure jewels of the Ionic coast with fantastic Greek ruins to see.